Local hero Khaled Al Qubaisi detictes his first home win to Sean Edwards. 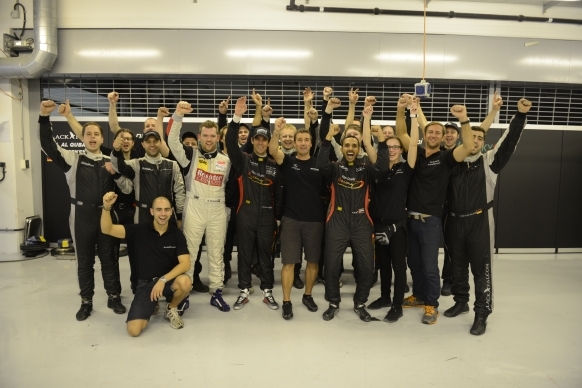 The winners of the 12 Hours of Abu Dhabi are Khaled Al Qubaisi (UAE), Jeroen Bleekemolen (NED) and Bernd Schneider (GER). The trio with the Mercedes-Benz SLS AMG GT3 of the Team Abu Dhabi by Black Falcon crossed the finish line after 308 laps and after a strong performance over the entire race distance the team was celebrating the deserved victory. Already at the beginning of the race which is devided into two segments of 6 hours it was promising: Starting from pole position the SLS with starting number three directly took the lead and was able to claim it for a long time. Only later at the first race segment Team Abu Dhabi by Black Falcon had to be satisfied with the tracker position for a short time. But not for long. With the start of the second race segment the Gullwing was immediately back on top of the field. 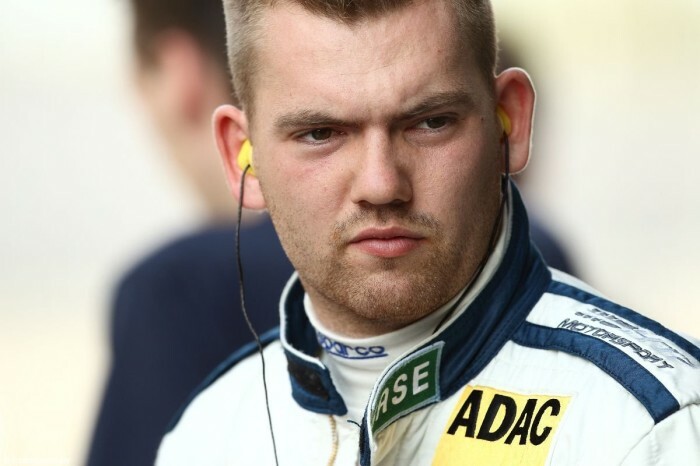 All three pilots, Khaled Al Qubaisi, Bernd Schneider and Jeroen Bleekemolen impressed with fast lap times and they all were able to control the field behind them. So the projection of the leading SLS enlarged round to round. The competition – especially the two strong Ferraris and the new Bentley GT3 – had nothing to oppose over the entire second half of the race. After 12 Hours the projection of the victorious Mercedes crew to the rest of the field was almost one lap. The joy of the whole team was correspondingly large. But for a short moment the crew of Abu Dhabi by Black Falcon paused. Khaled Al Qubaisi dedicated his big win in his home country to Sean Edwards, who tragically lost his life as a passenger in a race car a few weeks ago. Since then he is in the hearts of everyone and also on the vehicles of the team. The crew of the sister car, Klaas Hummel (NED), Andreas Simonsen (SWE) and Adam Christodolou (GBR) and the rest of the team earned great respect in the paddock. After technical problems in the first stint the SLS with the starting number 4 was falling back to the end of the classifications. However, neither the pit crew nor the drivers saw it as a reason to give up. With lots of sportsmanship the car was back on track after the first interruption. There they were one of the fastest cars and for sure without the forced stop they would have been able to have a say for the podium. 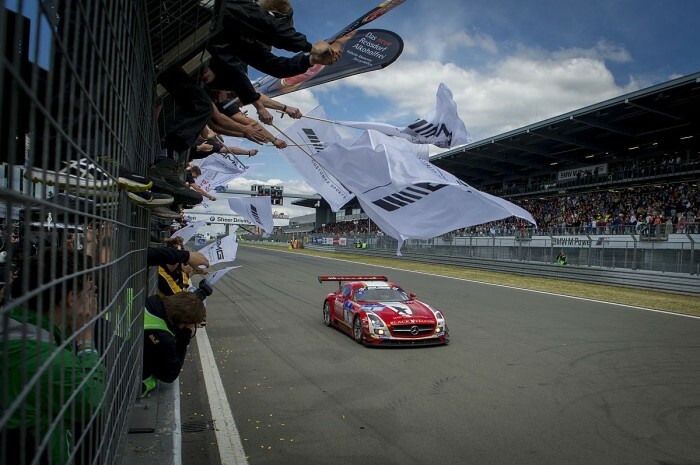 With the victory of the 12 Hours of Abu Dhabi Black Falcon was able to win their third international long-discance race after the win of the 24 Hours of Dubai in January and of the 24h at the Nürburgring in May and so it was one of the most successful seasons ever for the team.